The new wireless CyberGlove II motion capture data glove is fully instrumented with up to 22 high-accuracy joint-angle measurements. It uses proprietary resistive bend-sensing technology to accurately transform hand and finger motions into real-time digital joint-angle data. The 18-sensor data glove features two bend sensors on each finger, four abduction sensors, plus sensors measuring thumb crossover, palm arch, wrist flexion, and wrist abduction. The 22-sensor data glove has three flexion sensors per finger, four abduction sensors, a palm-arch sensor, and sensors to measure wrist flexion and abduction. Each sensor is extremely thin and flexible being virtually undetectable in the lightweight elastic glove. The CyberGlove II data glove is constructed with stretch fabric for comfort and a mesh palm for ventilation. The 18-sensor motion capture CyberGlove II system includes open fingertips, which allow the user to easily type, write, and grasp objects. The basic CyberGlove II data glove includes one motion capture glove, two batteries, a battery charger, and a USB/wireless technology adaptor with drivers. Many applications require measurement of the position and orientation of the forearm in space. To accomplish this, mounting provisions for InterSense, Polhemus, and Ascension six degrees of freedom (DOF) motion tracking sensors are available for the data glove wristband. Tracking sensors are not included in the basic CyberGlove II system, but are available as an option and supported in VirtualHand software. 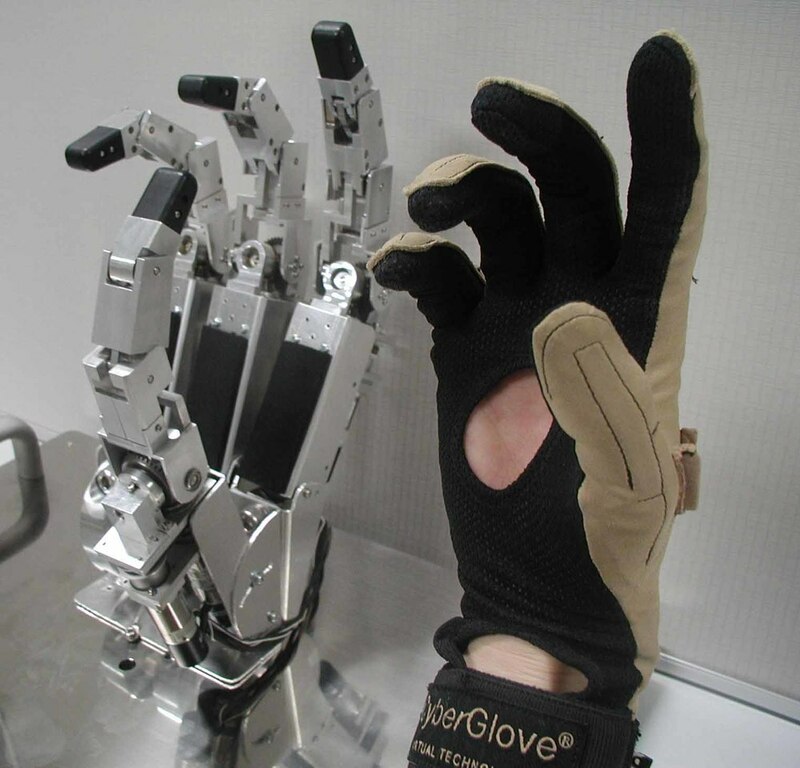 The CyberGlove II motion capture glove system has a software programmable switch and LED on the wristband to permit system software developers to provide the CyberGlove II data glove wearer with additional input/output capability.